Expect a rise in hoaxes and scams as there are various new websites which allow you to create a prank or hoax in just a couple of seconds. The website is a generator for hoaxes, you simply need to provide a picture, a subject and a description and the FakeShare website will create an prank for you. 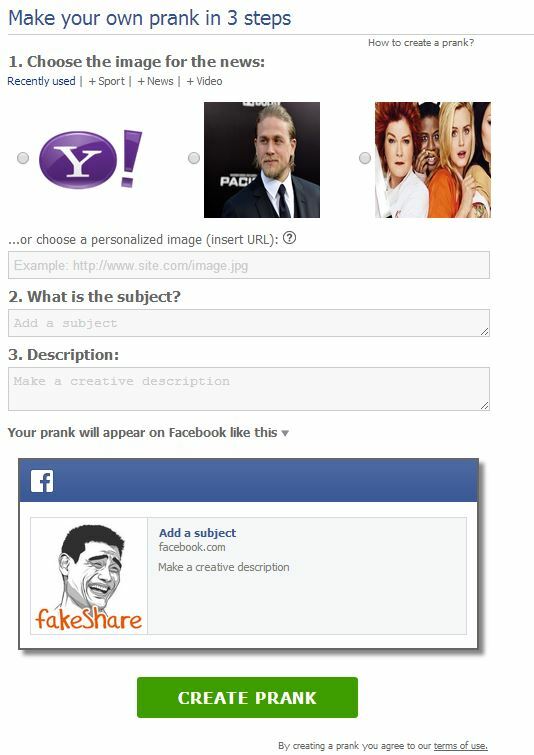 As you can see in the picture above, it is very simple to create a hoax via the Fakeshare.com website. 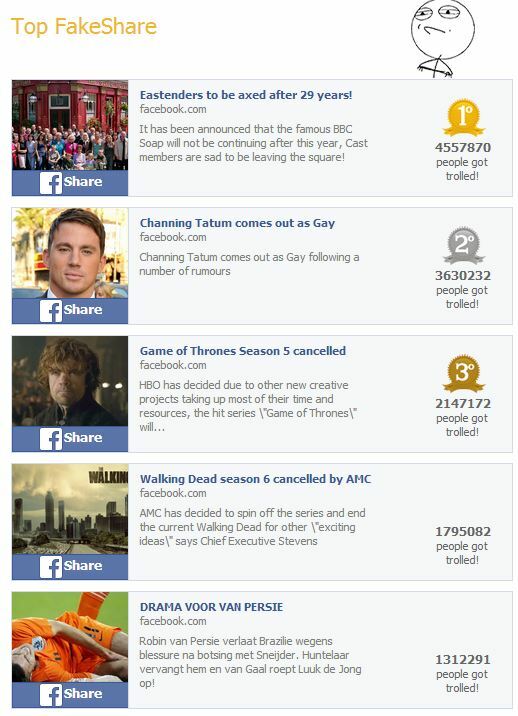 Take a look at the picture below which will show you the top rated hoaxes which have been created via the Fakeshare prank generator.